Researchers say they believe they may have found Captain Cook's ship Endeavour - now the Lord Sandwich - in Rhode Island. 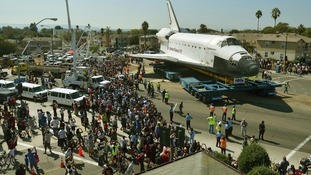 Space shuttle Endeavour has left the Kennedy Space Centre on its final journey, destined for a museum in California. The United States retired its space shuttles last year after finishing construction of the $100 billion International Space Station to begin work on a new generation of spaceships. 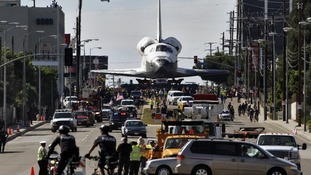 Earlier this year, the space shuttle Discovery completed its final voyage piggybacking a NASA Shuttle Carrier Aircraft to its permanent retirement home at Smithsonian Air and Space Museum's Udvar-Hazy Centre in Virginia. There is ongoing coverage on NBC News' website.